- Train: Choumiko (L-CCC-L): The name and type of the train. In this case: 3 wagons (C) with a locomotive (L) at the front and end. The type is used to determine the refueling station for Autorefuel. - Save as line: Saves the trains schedule as a line. - Line #: Outputs the assigned line number at a smart train stop. - Signal #: The train will ignore the normal order of station on the line and travel to the station specified to the signal lamp. - Station #: The train will go to the station # specified in the text box. - 1st, if Signal # is checked and the signal lamp has a valid station # input to it, the train will choose this station. - 2nd, if Station # is set to a valid station #, the train will choose this station. - Last, if neither of the previous are true, the train will proceed to the next station in the line. - Note: If the train leaves due to the waiting time passed, it will always go to the next station. - The signal lamp: Only used in combination with the "Signal #" rule. When a train leaves the station because its waiting conditions became true, it goes to the station specified by the signal in the lamps condition. 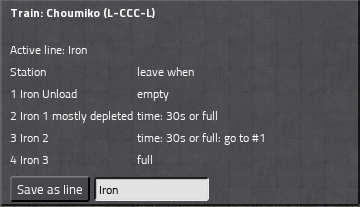 - Accessible when opening a station GUI. - Todo: make that description less confusing..
- Refueling: Sets the lower and upper limits for available fuel. 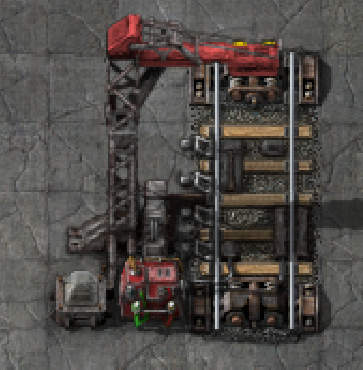 If any locomotive of a train is below the lower limit, it will add the refueling station, if all are above the upper limit again it will get removed. 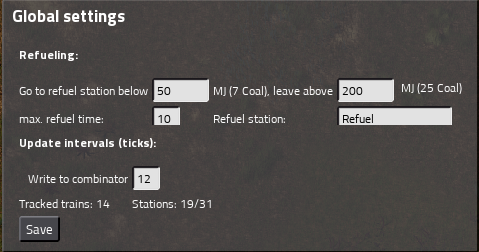 - Update intervals: Number of ticks between updating the constant combinators at smart train stops. 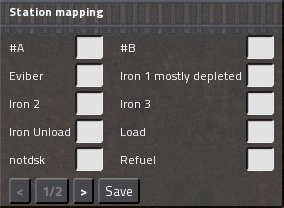 It will currently only work if you add/remove 1 station before clicking Save as line. 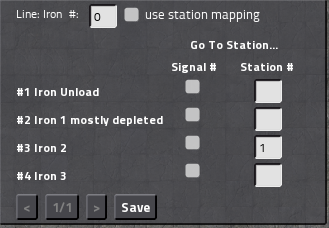 So if you want to add/remove multiple stations it should be done one by one.